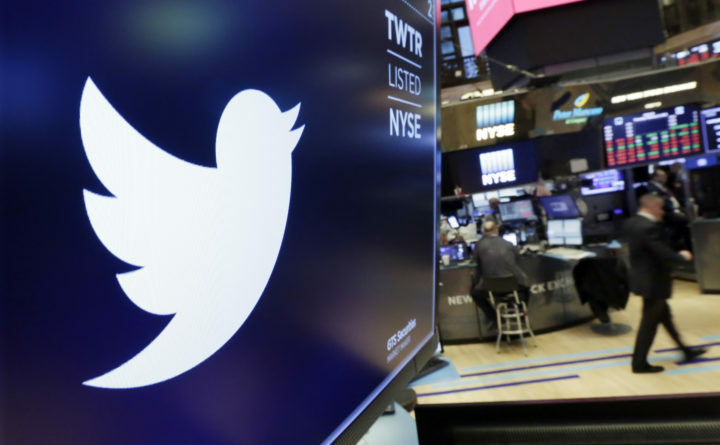 The logo for Twitter is displayed above a trading post on the floor of the New York Stock Exchange. For most people today, the internet is an essential part of how they operate — where they get their information, buy items, connect with friends, do their jobs. So it’s important for people to know that internet freedom is actually declining in the United States and around the world, according to a new study by the watchdog organization Freedom House that tracked improvements and declines in obstacles to access, limits on content and violations of user rights in 65 countries, over the past year. The organization assigned numbers to countries on a scale of 100, with lower numbers for countries that have more internet access and freedom of expression. The U.S. scored a 22 out of 100 for the period from June 1, 2017 to May 31, 2018, which makes it among the best in the world — but behind countries such as Estonia, Iceland, Australia, Germany and Canada. The U.S. government doesn’t block or shut down websites it dislikes. It has a free press. It doesn’t arrest people for turning to Facebook to decry sexual assault and harassment, as has happened in Egypt. However, the ranking is not good news because the country is not heading in the right direction. It’s the worst score the U.S. has ever gotten. Since the first report in 2011, when the U.S. got an overall score of 13, it has generally seen its status erode. This is not something the public should take lightly. Our economy and political system depend, in many ways, on open access to the internet. What has changed? The report, called Freedom on the Net 2018, has a few points. For one, the Federal Communications Commission, under new leadership, repealed net neutrality rules, effective this summer, that had passed in 2015. The protections had required internet service providers such as Verizon and Comcast to treat all online content equally. It forbade them from blocking or slowing websites, or from charging fees so websites could reach users faster. Now, service providers can block websites or apps if they want to. Based on the nature of the content, they can slow down the transmission of data. And they can create an “internet fast lane” for entities that pay premiums. All of these rollbacks give service providers more ways to benefit their bottom lines at the expense of people’s free and open access. Second, Congress reauthorized the FISA Amendments Act, including Section 702, which the American Civil Liberties Union described as permitting “warrantless surveillance.” The statute had been set to expire, but Congress decided to grant a six-year extension to allow the government to continue to collect emails and other communications from foreigners abroad without obtaining a warrant first. Third, disinformation and hyper-partisanship online leading up to the 2018 midterm elections was of “pressing concern,” according to the report. People still have many healthy debates online, but it is always worrisome when unrevealed actors mislead voters. They can have real power. For instance, one study published in March found that untruths on Twitter were 70 percent more likely to be retweeted than accurate news. Misinformation can even show up directly in your hand — no need to scroll. Some voters in battleground states received text messages saying their ballots hadn’t been received, even when they had successfully voted absentee, and then invited them to click on a link to visit a website paid for by the Republican National Committee, according to The New York Times, which collected evidence of electioneering. It is important to recognize the current threats to internet freedoms, so something can be done about them. In many cases, these policy changes were made purposefully and so can be unmade purposefully. It will come down to retaining what’s under threat: accurate information and elected leaders willing to fight for openness and truth.